Almost too pretty to eat, but eat it you must. 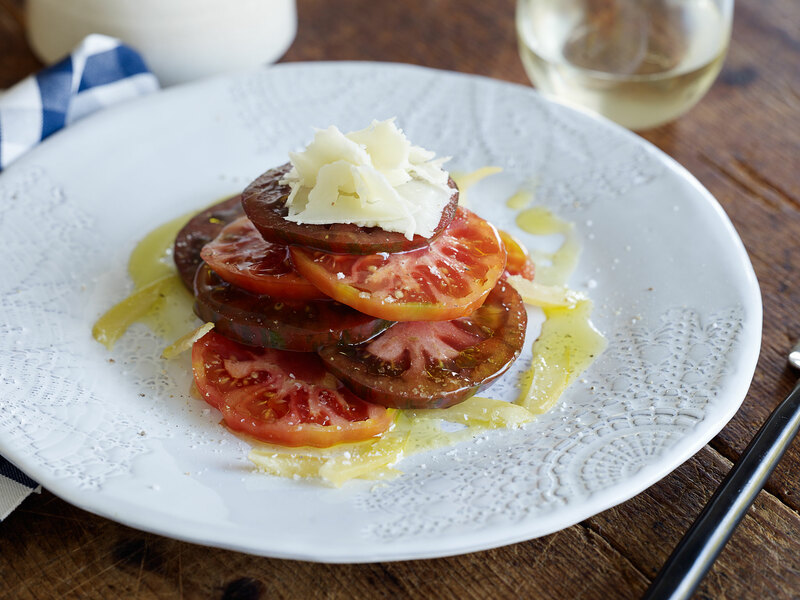 Don’t you love these kind of dishes – nothing more than a simple set of instructions to slice a tomato and flake some cheese, and just like that you have the essence of summer: fresh, light with a splash of colour, and something that is as exquisite to look at as it is luscious to eat. I’ve added slivers of preserved lemon, because, funny it may sound, lemon with its tarty taste makes tomatoes taste sweeter, and that’s what this dish is all about: sweet, juicy, fruity, salty, freshened with lemon. 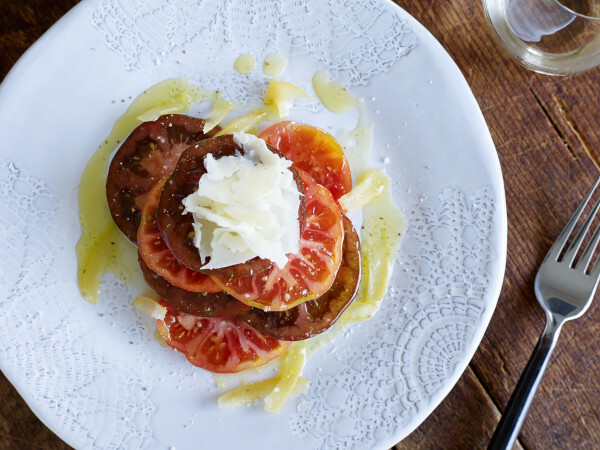 Use the best tomatoes you can find, slice them, stack them, scatter with slivers of preserved lemon, season with flaky sea salt and freshly ground black pepper, drizzle with fruity olive oil and top with flakes of pecorino. Fabulous. Simply fabulous. Great pic, too, Aaron. Sheep's milk cheeses add flavour to dishes just like parmesan.